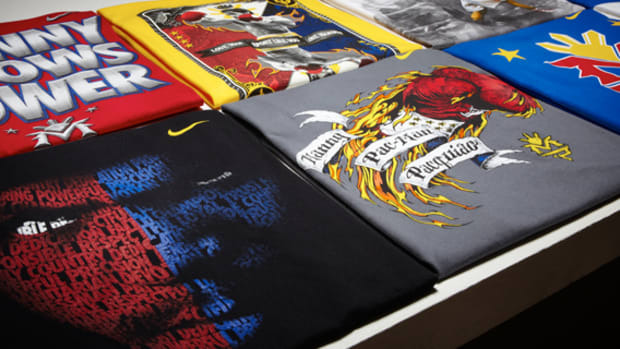 For those attending today&apos;s pep rally at Nike Vault for boxer Manny Pacquiao, he or she will get the opportunity to purchase the Manny Pacquiao Heavy Bag Collector Edition. 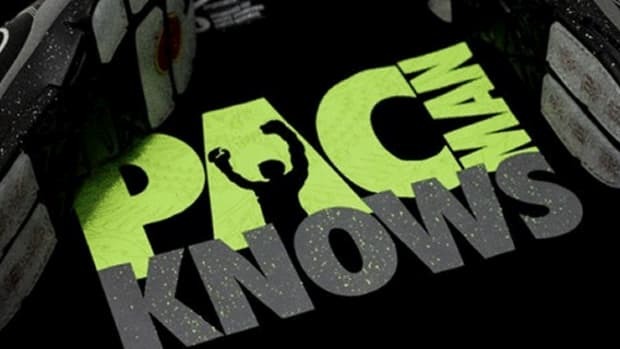 Designated specifically for the "Pacquiao. 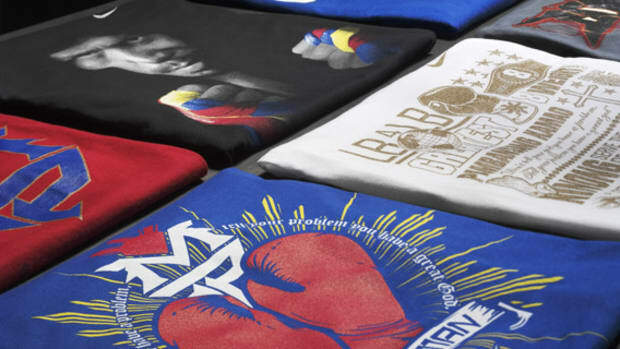 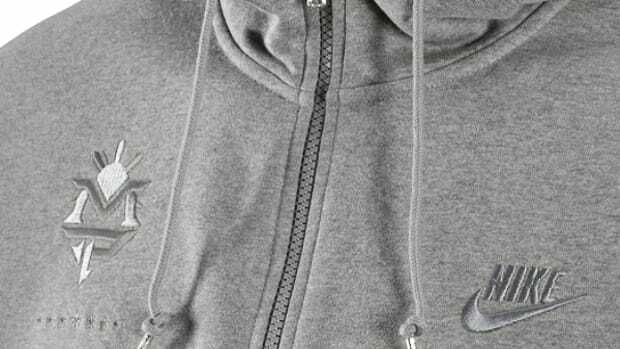 For the People" event, the Heavy Bag Collector Edition includes the fighter&apos;s signature Nike Sportswear Zoom Huarache Trainers Low, custom AW77 hoodie, and Pacquiao Three-Stars Tee, all in the champ&apos;s sizing. 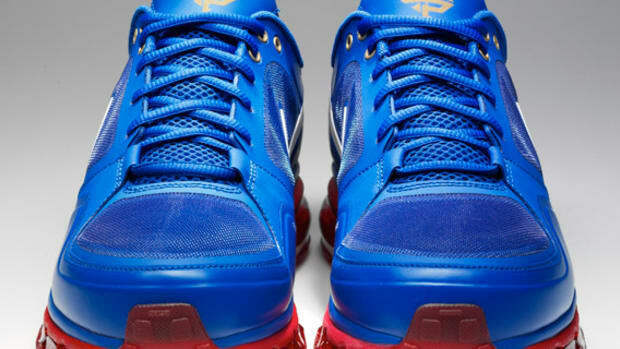 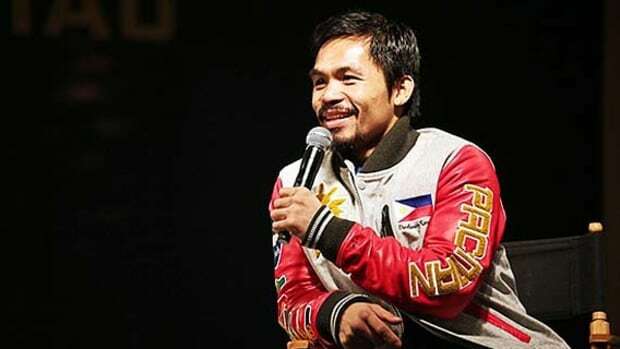 But the prized fixture of this collector item would be the Heavy Box Bag in Philippines&apos; Royal Blue colorway, embroidered with Pacquiao&apos;s emblem. 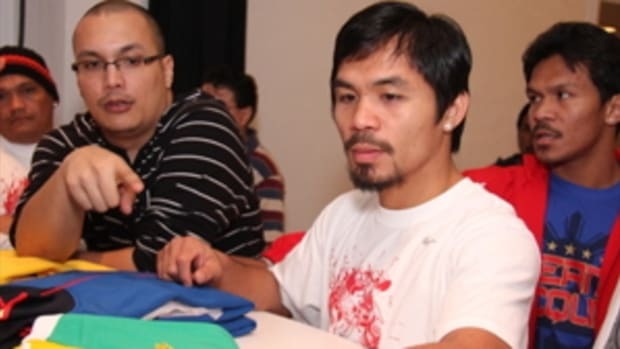 In all, a perfect "1-2 punch" gifting for any die-hard Pacquiao fans. 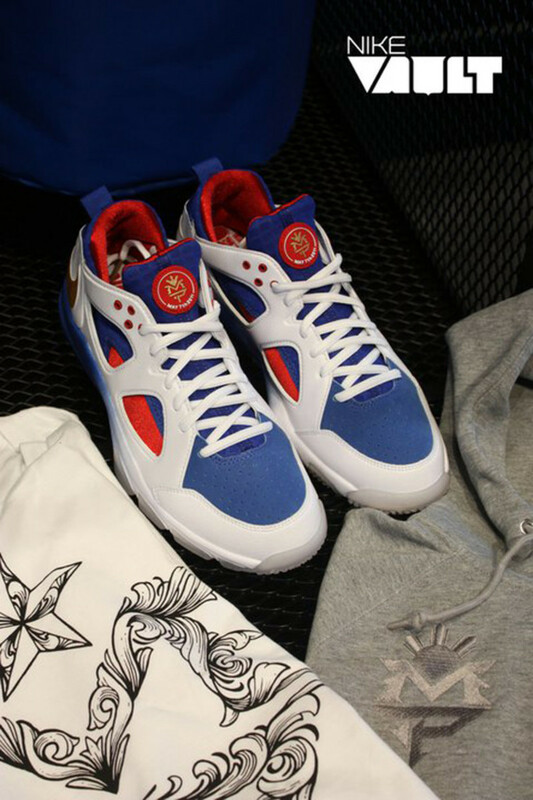 Extremely limited and only available at Nike Vault in Downtown Los Angeles. 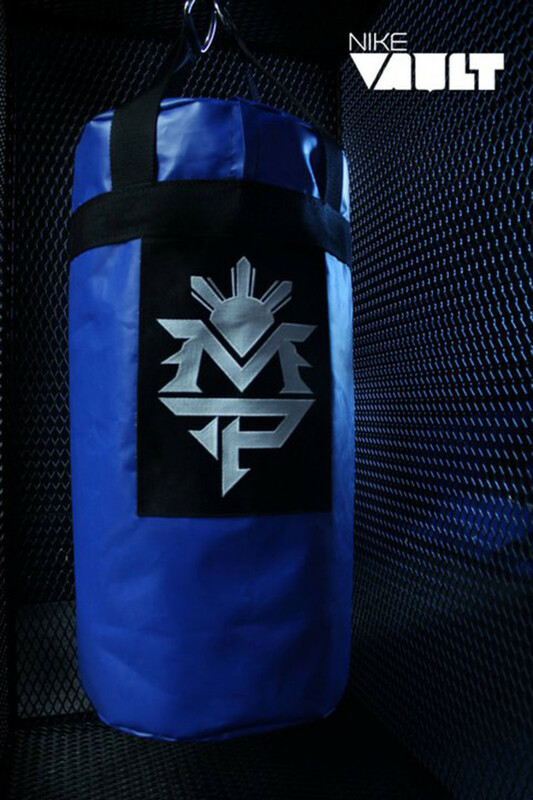 Only 17 of the Manny Pacquiao Heavy Bags available. 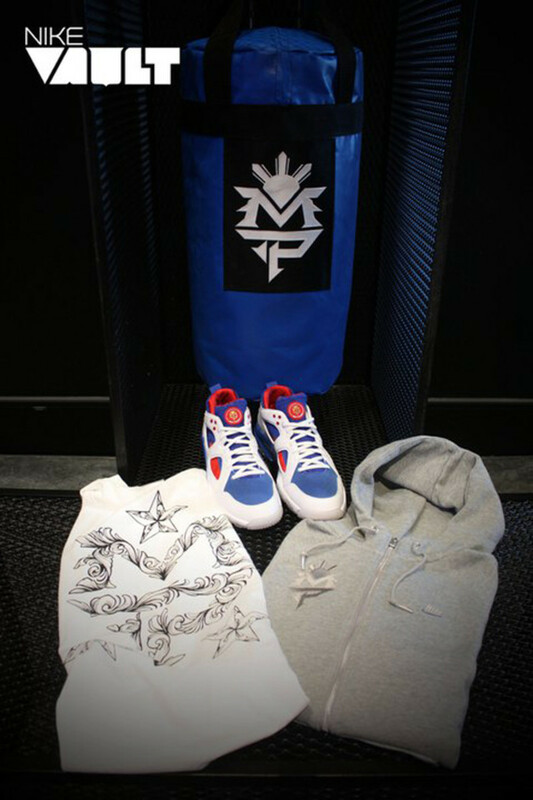 It contains Manny&apos;s Huarache Low&apos;s, Manny Pacquioa Hoodie, MP 3 Star t-shirt and a signed card from Manny and his tattoo artist Chris Garcia. 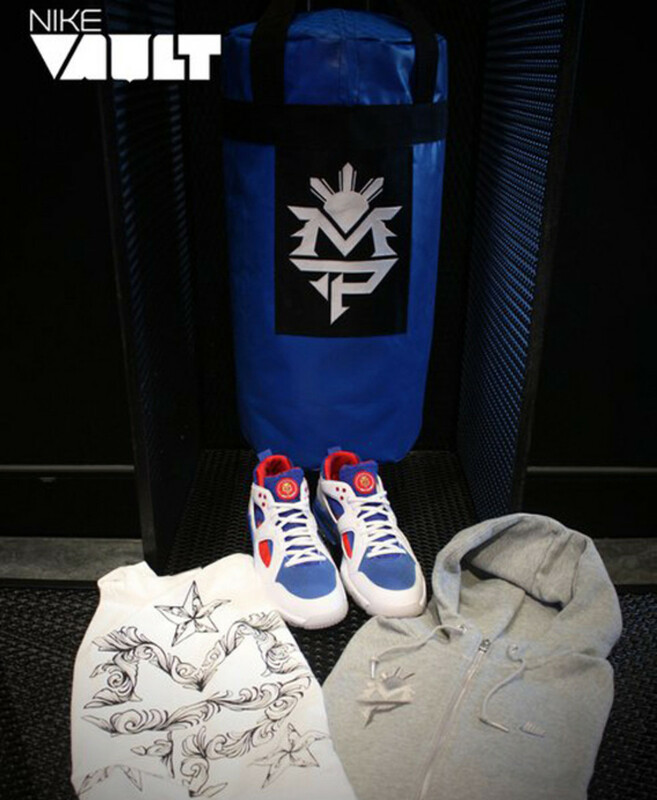 Bags are available first come, first serve. 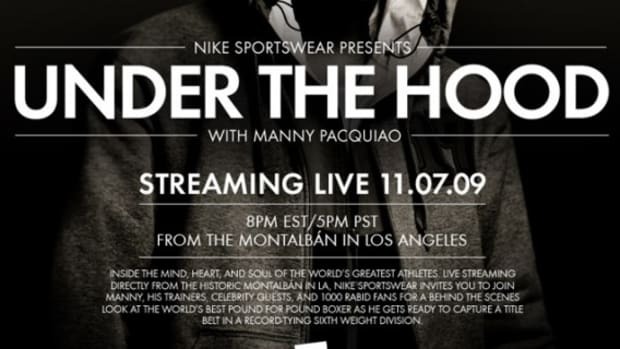 *NOTE* Nike Vault mentioned it still have openings for events at 3pm, 4pm, and 5pm time slots.